Is TradingSim worth the money? Do you know what the hardest part of trading as a beginner is? No. It isn’t the fact that you don’t know anything about the world of trading. It is the fact that while you do not know anything about trading, you are throwing away tons and tons of cash. Money that you really do not need to lose. Beginner trading is akin to one of the world’s most expensive training courses. Thankfully, there are ways in which you can learn how to trade without throwing away a ton of cash. 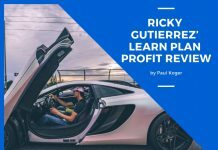 Sure, you are not going to be earning anything with these methods (they are training simulations), but at least you are going to be building up your own skills which will be able to help you make money later on when you start to trade ‘for real’. Let me introduce you to TradingSim. One of the biggest misconceptions I have seen in the countless reviews that I have read of TradingSim is the fact that this is a product purely for beginners. It isn’t. Sure, the bulk of the people who will get the most benefit from TradingSim will be newcomers. However, I also see TradingSim as being perfect for more experienced traders who want to play about with their trading strategies with very little risk on their part. TradingSim is a trading simulator which allows you to trade on historical data. The day played out on the simulator is the exact way that the day played out in the past. Yes, there are a few other trading simulators on the market which offer the same sort of thing. However, TradingSim includes a wealth of features that I have yet to find in any of the other options. For example; TradingSim is the only simulator which allows you to access it 100% online without any download required. It is also the only simulator which offers a market movers list. 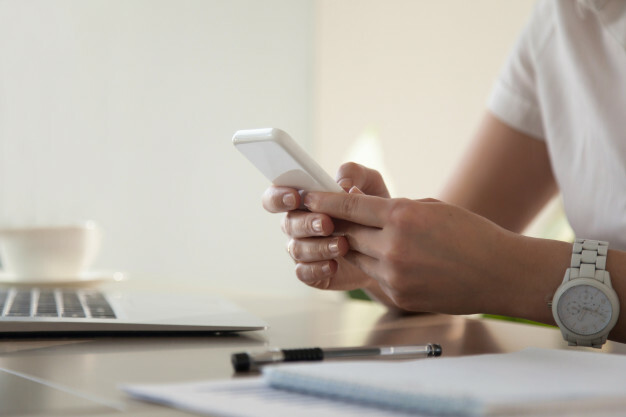 You may not necessarily think that either of these are ‘key’ features, but once you have experienced them, you will very quickly come to realize just how important features like this actually are. Not to mention the fact that TradingSim is cheaper than most of its competitors, which is an instant win in my book anyway. 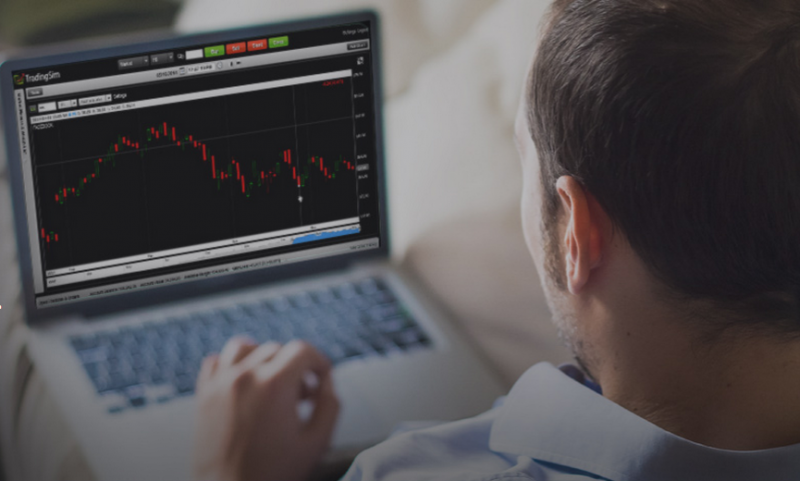 One of the major benefits of TradingSim is the fact that it is a relatively new platform. A lot of the simulators available online have been kicking around for a good while now. This means that they have been programmed with old technology which is going to be incredibly tough for the companies behind them to upgrade. This is why many simulators ask you to download something. They want your computer to do the processing, and if you do not have a decent computer, it is just not going to function that well. It is easy for the team that made TradingSim to upgrade the software. 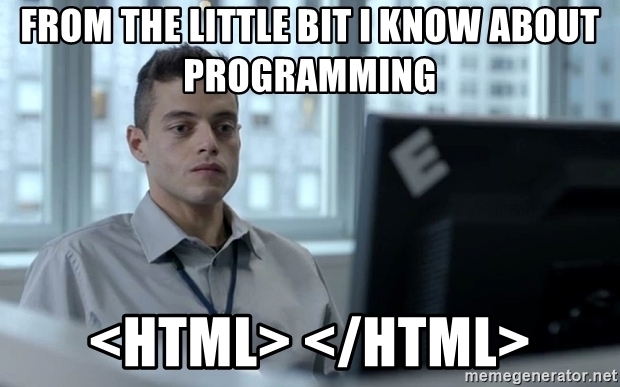 In fact, HTML5 is so good, it is almost as if you are running a computer application right there in your web browser. You will use it in exactly the same way as if you were booting up a program on your computer. You have hot keys. You have mouse functionality etc. Where the real thrill comes with the HTML5, however, is the charting capabilities. I don’t know how many trading simulators you have used in the past, but if you have used a couple of them, you will often notice that the charts are slow and sluggish. They take a while to update, and you may notice little blips. Not TradingSim. Even if you are running on a rather shoddy computer, you will find that the charts update nice and smoothly. The charting is second-to-none in TradingSim. There are several technical indicators that you can use to your heart’s content, as well as a plethora of drawing tools. This means that you have the capability to set up TradingSim however you wish. I have to say that there are very few simulator tools on the market, or even real trading platforms for that matter, which allows you to trade in the exact way that you want. This is the perfect opportunity to put everything that you are learning to the test. One of the things that I love about TradingSim is the fact that you have full control over the way you want the platform to look. You can display as much or as little information as you want. You can save up to 1000 indicators at once. However, I do think that the full customization of the platform could do with a little bit of work. On occasion, I have had issues with saving and I have overwritten certain layouts that I wanted to keep. In other cases, things haven’t saved the way that I wanted them to save even after a bit of work to get it how I wanted it to look. However, to be perfectly honest with you, I am willing to forgive everything here. This is because TradingSim is such a new platform, and it is a bug which could probably be ironed out pretty sharpish. In fact, by the time you read this TradingSim review, there is a pretty strong chance that the bug would be completely gone and everything saves perfectly well. In the vast majority of cases, the around fifty technical indicators are going to be enough. However, if you really wish to expand the number of options you have available, you can always head to the marketplace offered by TradingSim. Here, there are some indicators which have been put together by 3rd parties. 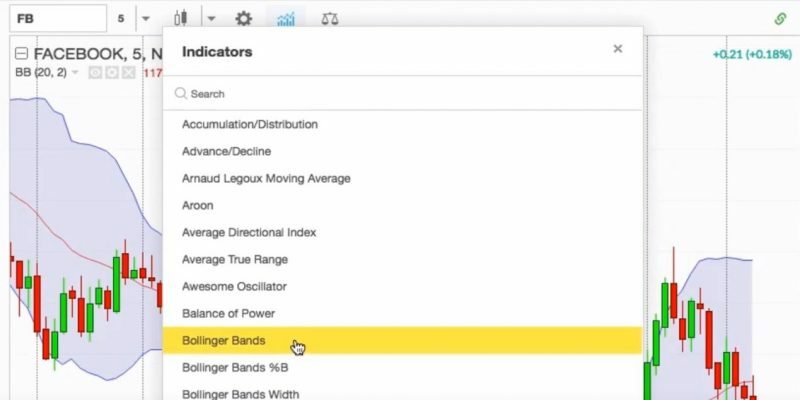 This will allow you to add extra technical indicators to the system. You will need to pay by the month, with the minimum being a shade under $20 and some of the more complicated technical indicators being a bit under $150. This is one of the greatest features of TradingSim, in my opinion. As the historical data is replayed on TradingSim, you will get highlights of news from the day pulled from some of the biggest financial news websites around. This will allow you to see how the changes of price of a stock correlate with news of the day. 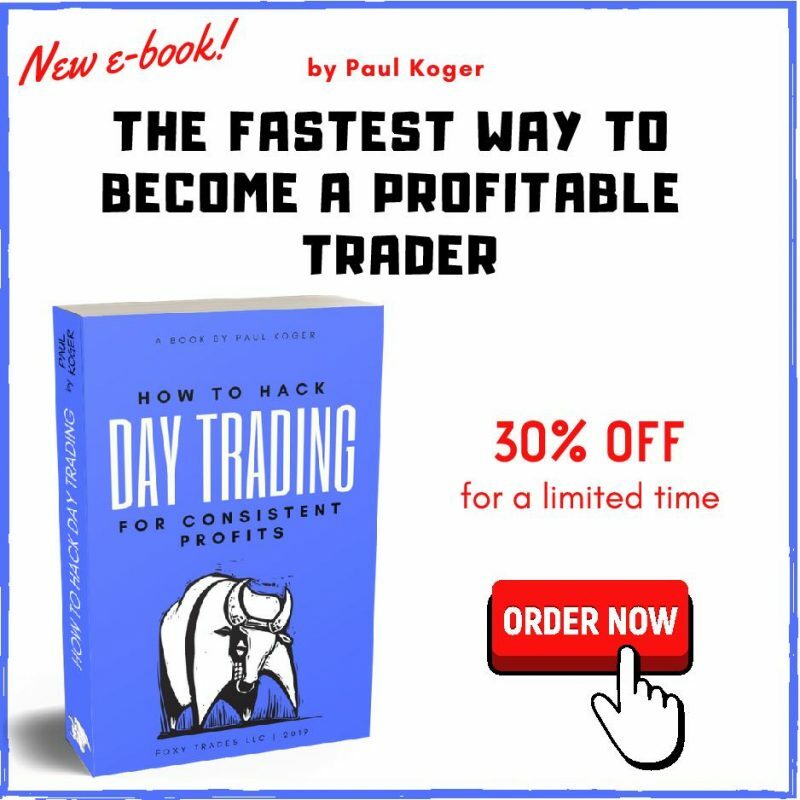 However, do bear in mind that there is no real time news feed there, which means that it is going to hamper those who are planning momentum trading. It is just impossible using the TradingSim platform. I think one of the only major issues with TradingSim is the fact that you can’t really get much data on stocks. It is very simplistic. 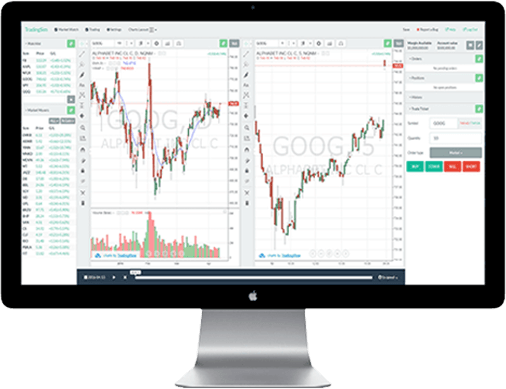 In fact, there are free tools on the market which are better than TradingSim when it comes to stock scanning. All you are going to get is information on price movement and dividends paid. Nothing too crazy. 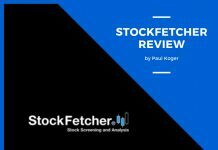 Although, I am asking myself whether you do need anything that wonderful since this is simply a trading simulator, and for that purpose, the stock scanner does its job perfectly well. This is a pretty basic feature. You can set TradingSim to provide you with stock alerts. You have a decent amount of control of when you get alerted too. However, I seriously doubt that this is a feature you are going to be writing home about. The vast majority of trading platforms have something similar. Eventually, you are going to want to have the opportunity to place real life trades. You will be pleased to know that TradingSim can be linked up to your current broker (not all brokers), which means that when you wish to jump in and make some proper trades, everything is going to be as simple as possible. Honestly, TradingSim provides the perfect bridge for newcomer traders. Remember; making real life trades is going to be easy because you have all of the historical data available to you via TradingSim. So, this is going to be the perfect option for those who are planning to day trade stocks, or maybe looking at investment for a longer period of time. Although, to be honest, if you look at the pricing section below, it is not going to cost you that much more to get the ‘futures’ package as well, so you may as well pay for that too. If you feel that futures are where your money is going to be spent. Here, you will have access to bitcoin futures, 20 top futures contracts, and even 2 years of historical futures data. It is the latter which I feel makes TradingSim viable for even the more experienced traders. It is always fantastic to have two years of data at your disposal, because it is going to allow you to make informed decisions when making trades with your real cash. 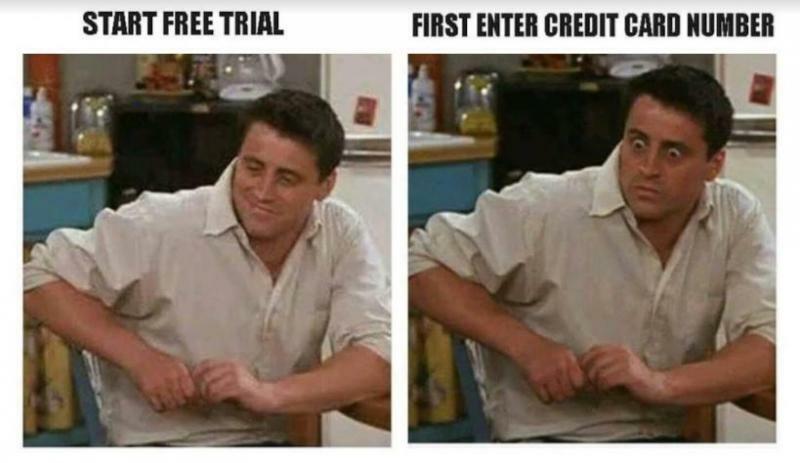 TradingSim comes with a free 7-day trial no matter what option you opt for (they ask for your credit card information though). However, each of the packages mentioned previously will set you back $24.75 per month. If you opt to have them combined into a single package then it will be $35.75 per month. Both of these will be billed annually. Now, I know that there are a lot of people out there who will dismiss TradingSim because the price is too high. Honestly, in my opinion it isn’t. When I first started in the world of trading, I lost a lot more cash each month than TradingSim charges. I would have killed (not literally, of course!) for a product like TradingSim when I started trading. I could have cut my losses while learning about how the world of trading works for one affordable yearly price. Even if you decide that you know what you are doing after a couple of months of using TradingSim, you will be glad that you still have the membership to it as you never really know when you are going to want to check out a new trading strategy or two. If you are looking for a quality charting platform, TradingSim is one of the best products on the market. Throw in the fact that you have all of the amazing historical data, indicator, and the ability to simulate Bitcoin trades, you have a pretty decent platform on your hands. This is the only trading simulator that I would be willing to spend money on. There are very few cons to TradingSim. I think the major issue with the platform is the bugs that need to be ironed out e.g. the saving of layouts. The news feed is not that great either. However, this is all something which can be improved over time. 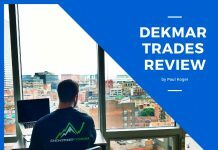 As you can probably tell from this review, I absolutely do think that TradingSim is worth the money. Sure, beginners are probably going to get a lot more out of TradingSim than the experienced traders, but even if you know what is going on in the world of trading, there is still going to be some benefit to using TradingSim. Regardless, it doesn’t actually cost much for a yearly membership to TradingSim, so if you are serious about trading, you should give it a bash. It is probably going to save you a lot more cash in the long run.